Information - Seitz Scientific Industries, Inc.
We continuously work to improve our processes here at SSIInc. 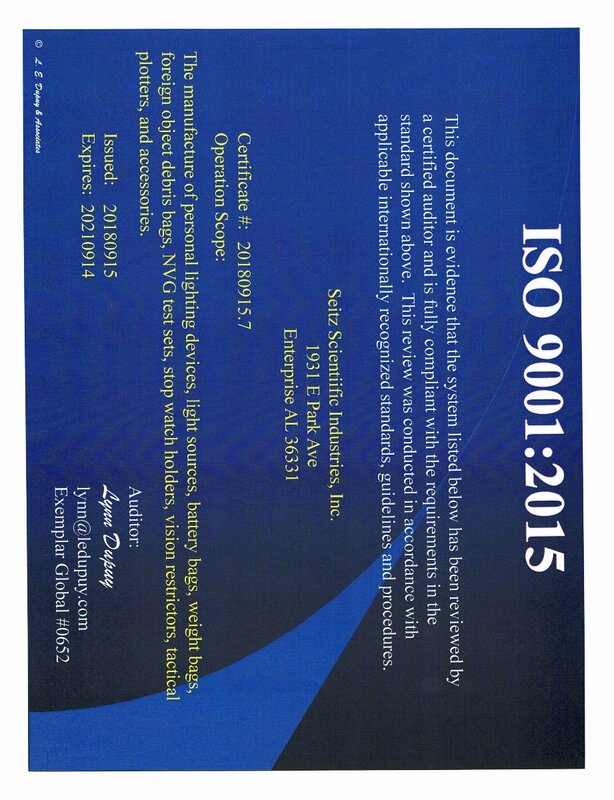 through our ISO 9001:2008 quality management system, in order to ensure complete product conformity and provide superior customer satisfaction. © Copyright Seitz Scientific Industries, Inc. All rights reserved. This material may not be reproduced or distributed, in whole or in part, and is expressly prohibited without the prior written consent of SSIInc.